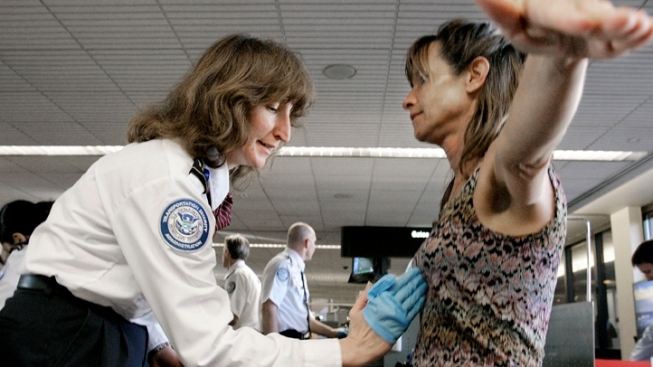 A bill that made national headlines for unsuccessfully attempting to criminalize excessive touching by agents during airport security pat-downs two years ago is back in the Texas Legislature. The measure by Rep. David Simpson of Longview would make the intentional touching of travelers' private parts by security officials illegal. The tea party Republican introduced a 2011 proposal making it illegal for anyone conducting searches to touch travelers' private parts, even though clothing. It also would have prohibited searches considered offensive "to a reasonable person." That bill died after a threat from federal officials to close airports statewide for security purposes if it were approved. The new measure should be less contentious since it clarifies that security agents must be deliberately touching inappropriately, rather than such contact happening incidentally during pat-downs.